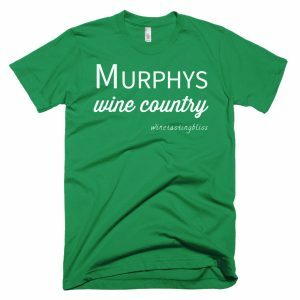 We were well along with our wine tasting tour of the greater Murphys area. 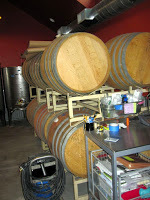 We loved our tastings so far: Four Winds, Twisted Oak and Chatom, so expectations were running high. We had tasted a broad range of approaches to wine; from boutique to irreverent, charming to over the top. 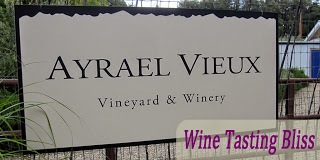 For our next stop, we selected a winery that can only be described as a labor of love: Ayrael View. Our first impression of the vineyard was, “Wow! 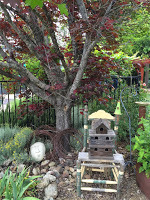 We need these people to re-landscape our back yard!” The long, narrow property was an amazing sequence of beautiful areas, each lovely on its own but joining together into a spectacular whole. 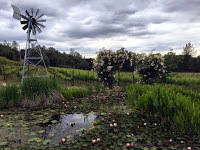 From tasting room to swimming pool to lily pond to manicured rows of vines; everything was exquisite. Not even the darkening skies could dim the beauty. Our first welcome to the winery came from Ollie, a Border Collie mix with the impressive title of Vineyard Dog. Ollie was a friendly and informative guide, ready and able to lope ahead of us as we explored the property. Ollie was a bit on the close-mouthed side, so we were equally happy to meet owner Bob Eisenman. Bob’s greeting was just a welcoming, but without the wet nose. After introductions, Bob walked us right past the tasting room, out into his amazing back yard. We walked past the tasting room, past the house, the pool, the gazebo (yes, they put in a lovely gazebo complete with a table and chairs, ready for lunch), past the lily pond and, finally, to the rows of grape vines. Bob showed us the vines with obvious pride, telling us that he and his wife Linda Stockstill planted every single vine in 2004. He called the plot “intensively planted” which means that the vines were placed closer than typical. 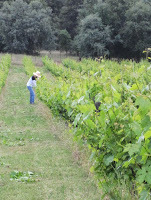 This requires strict attention to pruning, as demonstrated by Linda, pruning the rows as we waved. All of the wine that Bob produces comes from this tidy acre and a half. Everywhere we looked we found something beautiful! After a near visual overload, we retraced our steps to the tasting room. 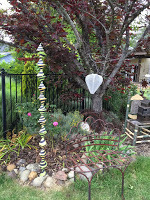 The room was as artistically decorated as the rest of the property. Our first taste was the 2014 Rosé. 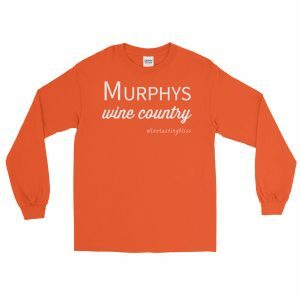 Made from estate-grown Sangiovese grapes picked early, we loved the dry, crisp notes of citrus, peach and mango. A remarkable wine that we think would be perfect paired with a Greek salad. We’d pass on the salad in a pinch, but we’re sure that this wine could make any summer afternoon better. We moved on to the 2009 Sangiovese. This wine generated comments like, “awesome” and “remarkable” from all of us. 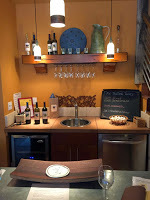 As we were reveling in the aromas and flavors of this wine, Bob told us about his wine making consultant Kate MacDonald. She advises Bob on wine making and in return Bob lets Kate use his facility for producing wines from her Napa fruit under her own label. A perfect win-win! Bob’s small-but-mighty wine list compares well with many powerhouses from Napa, and this collaboration must plays a role. Combining hand-tended grapes with accomplished wine production experience is a powerful strategy! Next up was a 2012 Montepulciano. The Montepulciano grape is commonly grown in southern and central Italy. Italy and now a small plot outside of Murphys. Regardless of heritage, we found this wine to be delightfully intriguing; fruit flavors that trigger the sweet sensors of the tongue without leaving a sweet taste and a somewhat tart finish. This is a wine that stands on its own yet could pair well with nearly any meal. Why doesn’t this varietal get more attention from wine makers? This wine rocked our world. The final taste was the 2009 Zinfandel. 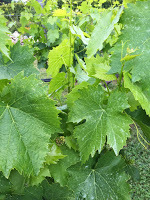 The rich flavors came through, probably helped by the personal head training of the vines (no wires to support the branches). This is a very demanding way to grow Zinfandel, but the results speak for themselves. We then set ourselves to the pleasurable task of deciding what to purchase. Just as we thought we had a strategy worked out, Bob told us about his unique wine club. His club offers the typical discounts for members but with a twist. There are no periodic releases, no forced purchases. How can this be? The Ayreal Vieux approach is as simple as it is unique: just accumulate $200 in wine purchases and you’re a club member! Never one to miss out on a great deal, we revised our purchase list to make it to the $200 mark. Mostly Montepulciano, with a smattering of the other wines. 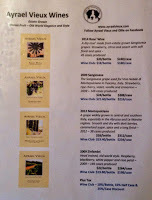 We only make it to the Murphys areas every few years, so we didn’t want to run out of Ayrael Vieux wines too soon. Sometimes less is more. 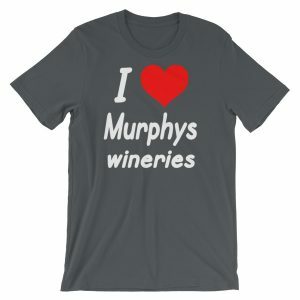 Bob Eiserman, Linda Stockstill and Kate MacDonald prove that this adage applies to wine in the most wonderful way. Until our next visit, cheers! Have you visited Ayrael Vieux? Click to give'em a tweet of support!